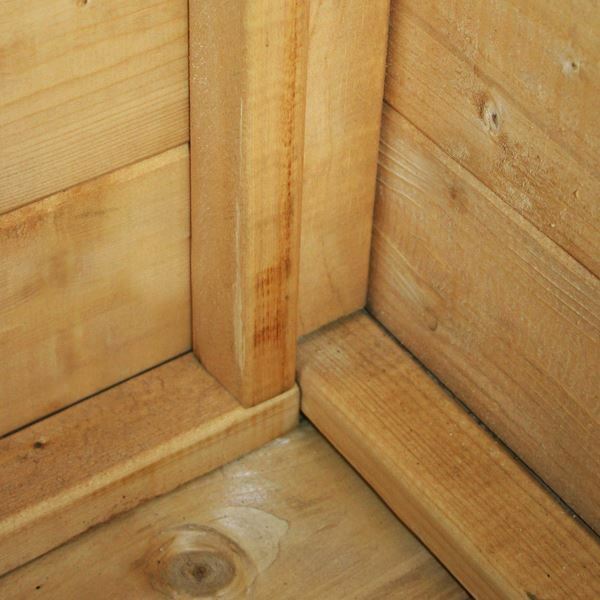 This 8ft x 6ft Value Overlap Apex Garden Shed has been designed to give customers a secure garden building that also represents exceptional value for money. In order to create a solid foundation, the floor and roof have been crafted from 9mm thick solid sheet material. The traditional apex roof provides plenty of head room inside, which is also ideal for storing taller items. The supplied sand felt helps to protect the roof against the elements. 8mm thick overlap cladding is used on this product, which gives a water resistant and durable finish. The cladding is supported by a 28mm x 28mm wooden frame to create a robust structure that can withstand daily use. 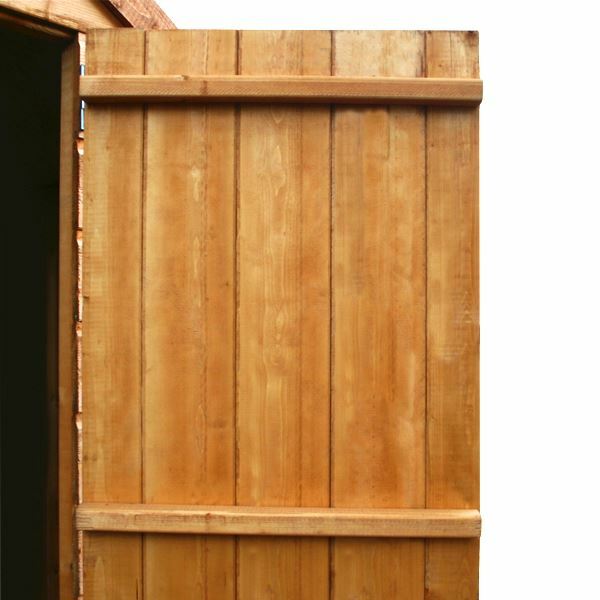 This shed comes with a single door, ledged bracing has been added on the inside of the door to provide additional support. A butterfly catch is included to keep the doors closed when the garden building isn’t in use. 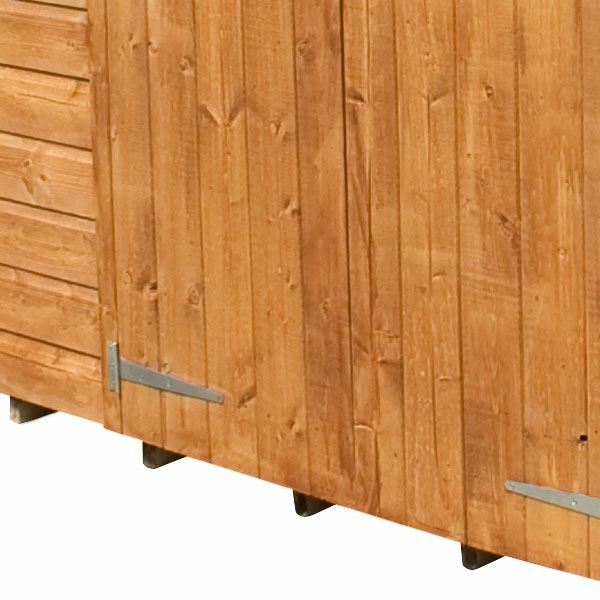 This is an ideal shed for those who prioritise the security of the garden items stored inside. This shed comes with a 10 year anti-rot guarantee, meaning you can have peace of mind that this building will stand the test of time. This garden building comes with a single door. 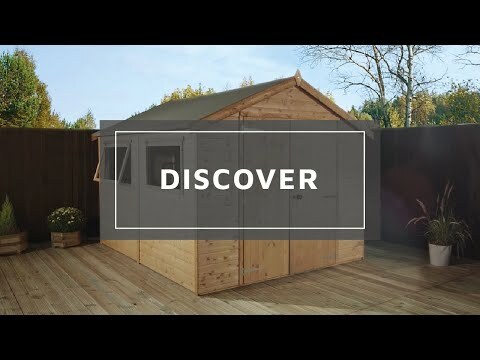 Review:You get what you pay for and this shed could do with a stronger floor and windows. Good value for money. Easy to construct. Thank you for leaving your feedback today. We take all feedback very seriously and will pass your comments on to the relevant department. 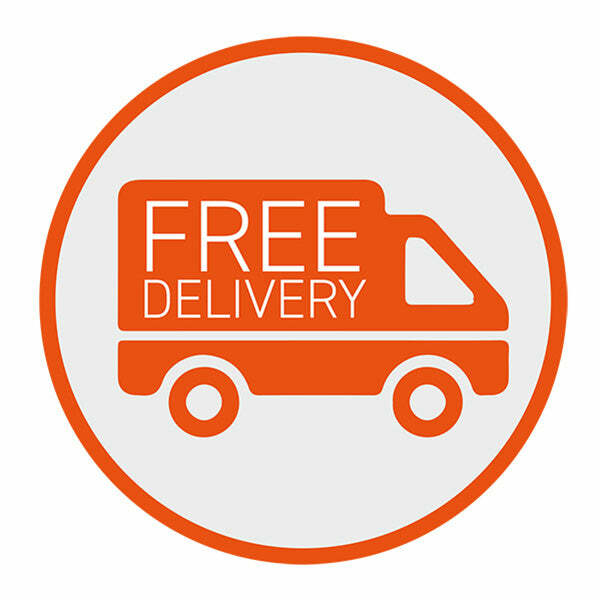 If you require any assistance, please do not hesitate to contact our customer service department on 0800 029 1000. It is wonderful to know that you are happy with all aspects of the service received the quality of your overlap shed. Thank you again for your great review. Review:Product ok. No fine detail to finished but you get what you pay for. Door was made on the wonk!!! It is wonderful to know that you would recommend Waltons and that you found your overlap shed to be high quality and good value for money. Thank you again for your great feedback. 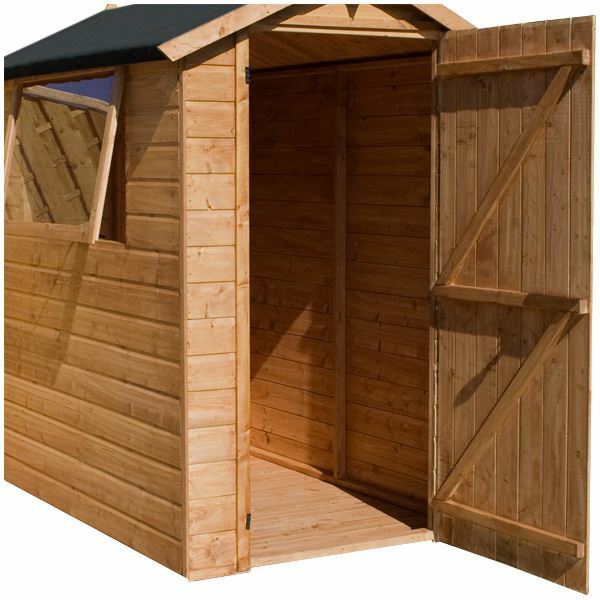 Review:Very good shed, I'd purchase the base option to make sure it's stable. Our Reply:It is good to know that you think your overlap shed is good value for money. The window perspex is thin but it is a sturdy, shatterproof material and should be okay once fitted as per the instructions. If you have any further queries, please do not hesitate to contact us again. Review:Seems reasonable for the money, but time will tell. Our Reply:I am glad that you are happy with your new building and as discussed on the phone, should you have any future queries or concerns, please don’t hesitate to contact us on 01636 880514 and we will gladly be of assistance.